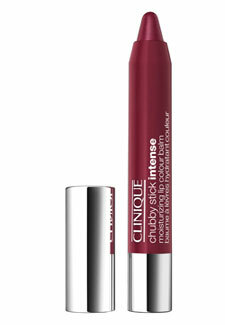 If you liked Clinique’s Chubby Sticks, you’ll love their new Intense range. Ever since these Moisturising Lip Colour Balms burst on to the scene with their juicy colour and hydrating formulas, we’ve been hooked. And now the colour pay-off just got even bolder with their new Intense collection. We love the autumnal shade range – from the rich Broadest Berry to the punchy-red Mightiest Maraschino. For an on-trend Gothic-inspired look, Grandest Grape (left) will look fabulous paired with smudgey charcoal eyes.